Well folks, we're finally back into the usual fortnightly routine in the Snippets Playground. All of the sand erasers and also the grand Christmas Draw prizes have been sent on their way...........although Maxine hasn't claimed hers as yet. I'll give it another week and then redraw for it if I don't hear anything. Just hope all is OK with the weird weather we've been having and flu germs flying all over the place etc. - then I glued the white rectangle 'scene' to the patterned card front and added all the other bits and pieces of food - right down to the little green whirl of wasabi! This is such a cute set of stamps, and a total delight to work with - although I was a bit daunted before I got going I'll admit! There are dies to match this stamp set apparently, but they aren't essential as there are no really awkward bits to hand trim. I do buy matching dies but it's generally only when I feel that the images really would be too tricky to trim. And a huge thank you to Tara for offering this lovely prize - some of the sentiments are 'raw-some' indeed - I've increased the size of the photo so you can see them easily)! 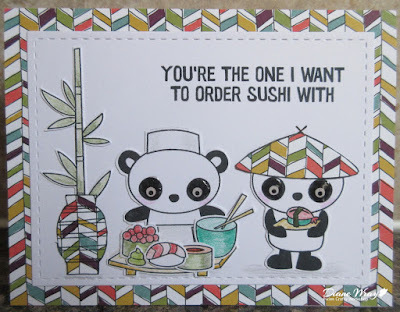 A perfect stamps set for anyone who likes sushi - or even just the clever play on words in the sentiments. I love to look at sushi (perfect little works of art really) and in Terminal 3 at Heathrow Airport there's a sushi bar (called Yo! I think) with a selection of ready portioned and quite delicious looking things to pick which roll past the seated diners on a circular conveyor belt. All neatly enclosed in clear domed dishes (sushi, not the diners - silly!). But, so far, we haven't ventured to try it - I'm not sure about raw fish somehow. As I mentioned earlier in this post, Tara and her husband Rick own Seven Hills Crafts - and for us here in the UK it's a real treasure trove of USA craft goodies which we can't usually get our little paws on. Over Christmas and New Year Tara and hubby moved their home and business and it was dreadful not being able to order during that period of time. No wonder I've gone a bit mad since! The Playground toy box is looking quite healthy again, after the big Christmas purge. I just can't help myself, sigh. BTW. I mentioned sand erasers earlier in this post. I do have a rubberised glue eraser which generally works well but one stubborn little bit came off perfectly with the sand eraser as a last resort! Yay! 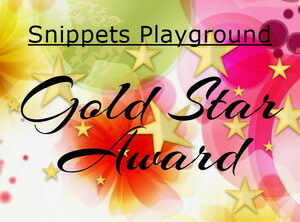 As always, the Snippets Challenge will run for two weeks and the Playground gates will close at 11am UK time on Saturday 3rd February. The gates will open again at midnight UK time on the same day. Be sure to call back next week to see the winners of last fortnight's Lawn Fawn 'Shammy' stamp cleaners. We won't have a guest designer as I just haven't had a chance to contact anyone to ask in plenty of time and this coming week is a busy one for me. Thank you so much to those of you who have offered your services - you're on my little list :) I'll be showing my 'picks' from last fortnight of course. Remember, it's ScrappyMo's Rudolph Days challenge from the 25th (I might make a snippets card for next Sunday just for Rudolph Day, but with no prize as this one will still be running). You also have a little bit of time to enter Darnell's new 'Twofers' challenge if you're quick! oh your card is so cute! I will play in this challenge! Darling card, Ms Di! Good timing, too, as I think it was just Panda Day--or was it Penguins? !--can't remember--haha! I'll just play for fun. Awwww! This is sooo cute with such fun! Love the colorful chevron P and Paper piecing! Will love to play and will come back soon again Di! Would love to win this cute stamp set! How cute and fun card! :D Love the punny sentiment and the Japanese style!!! Great paper piecing, too! 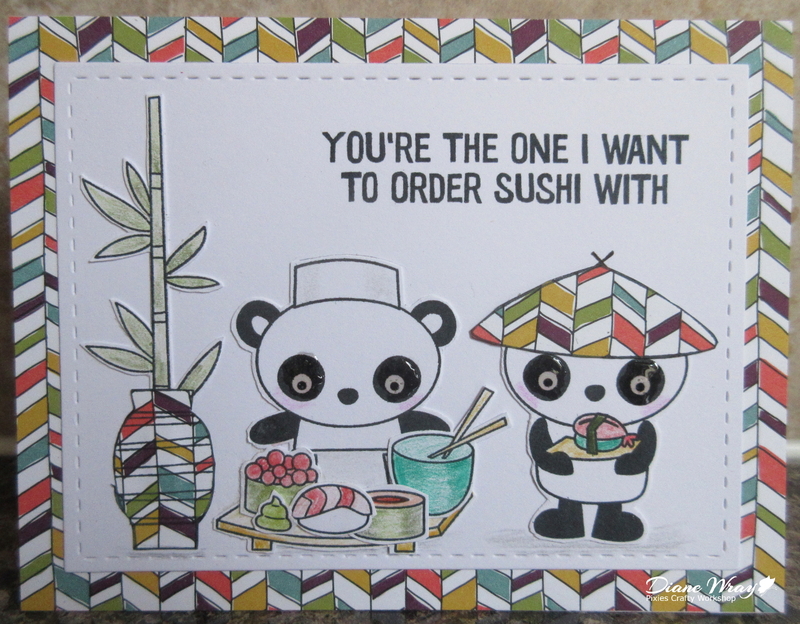 What a really cute card, especially for anyone who is a sushi fan (definitely not me - yuk!!) and the humorous words are great too. I'll be along to play later with a bit of luck - too dark to do much yet this morning and raining steadily too - I so hate these DARK days. So cute, Di, and I agree on the winning combination of Misti plus MFT stamps. They do stamp beautifully,. Aww that is one CUTE panda card and I love the sentiment that you chose to go with your scene. WOW - you really do have the patience of a saint to cut that lot out and stick it on AND paper piece too! TOP MARKS! You said you have a busy week ahead . . . but I hope you get some relaxation added into it somewhere. Don't want that back of yours to play up now do we? A lovely card Di and such a sweet sentiment too! I'll be in the playground soon but I'm just playing for fun this time. BTW, my sand eraser saved my latest creation from going into the bin. I had a smudge on the white card and very, very carefully I was able to use the eraser to remove the ink. It took me a while as I rubbed gently on the surface and from different angles, but it all came off and there was no mark on the surface of the card. They're magic! oh this card is so cute and what a stinning design. Love the wonderful snippet of paper used it looks so oriental. Superb fussy cutting of those stamps and I love the glossy accents in their eyes. Will be back later with my entry for this fortnight. Awww, what an adorable card - and I LOVE those sentiments, so yes please to the chance of winning the stamps. I've never really fancied sushi but it's the cold sticky rice and the seaweed that put me off - I've had raw fish served in other ways and love it! I was shocked the first time I tried ceviche - I'd expected to hate it so took the tiniest nibble, just to be polite - then wolfed down my whole plateful and would cheerfully have eaten a second helping! Since then I've eaten it quite often and even made it, and I've had raw tuna canapes a few times too. Gorgeous card Di. Love the Japanese style. I will just play for fun. This is the cutest card! I love the paper piecing and the paper you used is just perfect! It just made me smile at how cute it is. What a super design paper you have picked to go with the card. Just playing for fun this time. Hugs Mrs A. You are such a patient cardmaker. That was a lot of cutting and paper piecing! A lot of hard work but well worth it as this is one sweet card! i eat sushi but not the raw fish type. I like the ones where the fish is cooked! Oh, and yes please to be in your draw!! Really fabulous card, super papers and love the paper piecing and the eyes look just fabulous, a card to bring out a wide smile, me thinks. It's a wonderful card. Love those cute pandas. I would love to play along for this cute stamp set. I have to get working and make something. I love your gorgeous card Di, those pandas are so cute. I'm playing just for fun this time. I am back, at last. And this time I only want to play. A great fun card Di, you certainly have some serious patience! I will be playing for fun this time. Diane, your card is so cute. As you will see in my blog post, I hope to CASE your card using a panda stamp set I own. BUT, I really would like to win the wonderful prize of your panda stamp set that is being offered! Such cute pandas. I'd like to win them for sure! This is so cute! I love how you paper pieced parts of the images; so fun! I would love to play for the prize this week, thanks! What an adorable card <3 I would love to play along for a chance to win the adorable stamps!! Perfect for my sushi loving, panda crazed adopted daughter!!! What a fun card...the Panda couple sure do seem to be having fun. Please dont include me in the draw this time...playing just for fun! I will play in this challenge, yes for the prize. Super-cute card, Di. Thank you for another fabulous challenge!!! Yes, please to the prize. So much fun!!! Oh my goodness, this is one cute card and that stamp set is on my wish list! My whole family LOVES sushi (including the grandgirls) so this would get a real workout in my craft room. You did a beautiful job with your card and the glossy accents add just that extra bit of wow! Yes please, with a cherry on top! Yes to this adorable prize, as you've made it look even cuter with your fun paper piecing and yummy dinner scene! Now you've made me crave sushi for my own dinner!! You've created such a cute card with this wonderful set (would love to be a happy prize winner!). The paper piecing looks amazing. I love sushi and I encourage you to try it out -there's no feel of anything "raw" when you eat it. It's yummy! Try salmon nigiri first, take both soy and a bit of wasabi to go with it and I bet you'll like it! Have a fun weekend. 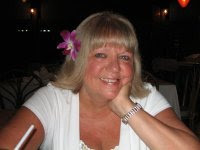 Pleased to have found you and happy to be linking up my card for a chance at that yummy prize! Thanks, you made me laugh as usual. I couldn't decide if it was naive art or just simple! I can't wait 'til Wed now to see your naughty step card. Anyway I'm glad you like it, it was fun to make and that is probably what matters. Yes please if I'm lucky. Managed to get back with my entry at last and it is also a buuterfly entry too. Commented on your card earlier. Love your card, finally found the time to do some blogging and card making. Glad to see the playground still here offering lots of inspiration to everyone at playtime. Velly cute card Miss, tempted to say yes please but think i will say no thanks.. my brain / crafty supply has stamp overload at the moment I've decided...managed finally to post again!! so behind in posting. must go.. trust you are well thanks for running this wonderful snippetty playground challenge!! Love your card! Definitely yes please for the cute (and very versatile) stamp set -- love the sentiments. Cute card...I have linked my creation..Pls count me in.. Thank you for your comment on my card. I am new to your challenge. I had so many "snippets" I am challenging myself to use them. Hi Di, well I am glad to say we have our internet and broadband back now after 3 weeks being "broken" phone line also off. Took ages for BT to sort out a new cable was needed in the village - 5 properties affected. Would love to be entered into the prize draw. And yes, please throw my name into the hat for this cute prize. What a fun stamp set. Love those Panda's. Yes please! Hello, Di! Long time no see! 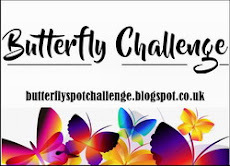 I have returned to my blog and I am excited to join your snippets challenges again! Your card is soooooooo cute - I am really loving pandas lately! Your paper-piecing is adorable! As for the prize, that is a great big giant YES - I would love to win! 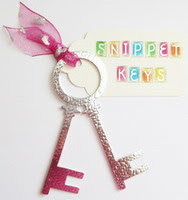 Hope to join you now on a regular basis again - thank you for inspiring me to use my snippets and scraps! So cute - love the paper piecing!